Manufacturing magnesium bike frames is tricky, but their extensive performance benefits make them well worth considering. Magnesium is needed for over 300 biochemical reactions and is deemed vital for healthy bones and good circulation; however, its many useful properties mean that it also has key industrial uses. The metal is 40 percent lighter than aluminum, but as strong as steel, making it crucial for strengthening aluminum alloys. It can be found in airplanes, automobile parts and in electronic devices that benefit from being lightweight. Magnesium is also used to remove sulfur when iron and steel are produced, and to inoculate cast iron. 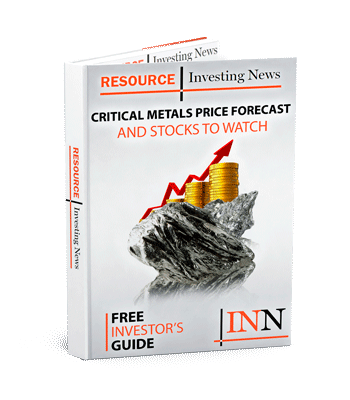 Magnesium’s wide array of high-tech applications make it a compelling investment, but it is often difficult for investors to find information about the magnesium mining market. Here’s a quick overview of magnesium supply and demand dynamics, as well as a brief introduction to investing in the metal. Demand for magnesium has grown steadily in recent years, driven largely by the car parts industry, where magnesium is used for die-casting. Specifically, magnesium can be found in car steering wheels and support brackets. According to Roskill, global growth in the magnesium market is expected to average 3.4 percent per year, reaching almost 1.2 million tonnes per year by 2020. The firm expects aluminum alloys and die-casting to be the fastest-growing markets at about 4 percent per year each. In terms of supply, magnesium is the eighth most abundant element in the Earth’s crust and the third most abundant element dissolved in seawater. Over 80 percent of the magnesium produced in the world comes from China. According to the US Geological Survey, Chinese magnesium production increased in 2016 after falling in 2015 for the first time since 2009. Other major magnesium-producing countries include Turkey and Russia; Russia also holds the highest magnesium reserves in the world. There are four companies aiming to bring magnesium mines online before 2020, Roskill says. Those are: Qinghai Salt Lake (China), Alliance Magnesium (Canada), Latrobe Magnesium (ASX:LMG) (Australia) and SilMag (Norway). As with many other critical metals, there is no formal magnesium market. For that reason, it is difficult for investors to gain exposure to the metal. However, one way to do so is to invest in companies that mine magnesium. In a 2015 article, Chris Berry of the Disruptive Discoveries Journal notes that China is home to many magnesium-producing companies, though some exist in other locations as well. A large number of these companies are private, or are not listed on common exchanges. This description was last updated on April 10, 2017.